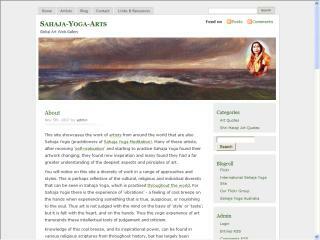 This site showcases the work of artists from Australia and elsewhere that are also practitioners of Sahaja Yoga meditation. Many of these artists, after receiving self-realisation and starting to practice Sahaja Yoga found their artwork changing; they found new inspiration and many found they had a far greater understanding of the deepest aspects and principles of art. Sahaja Yoga Global Meditation Sites © 2019 All Rights Reserved.